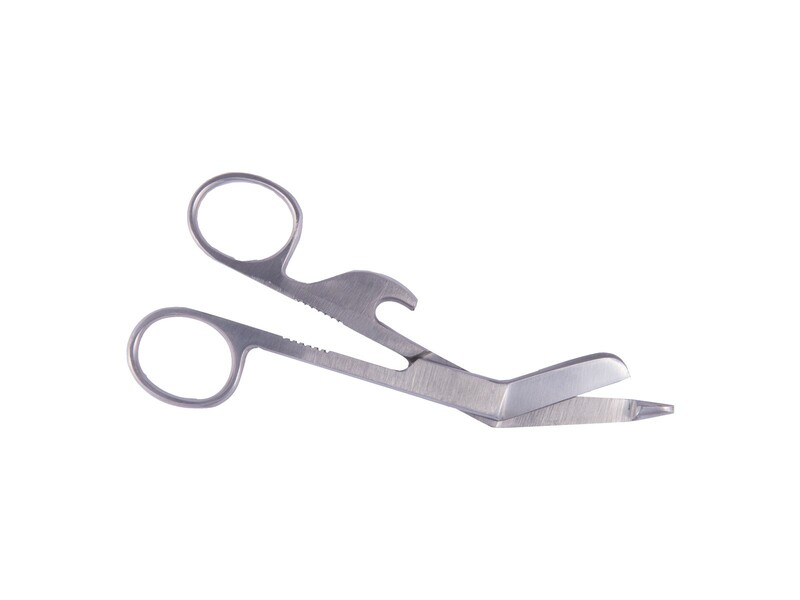 Traditional design stainless steel bandage scissors for cutting dressing and bandages. 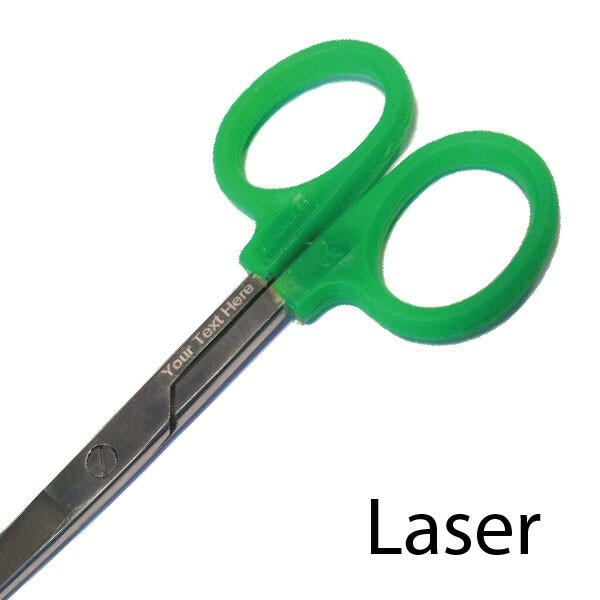 Serrations in the handle are perfect for gripping of twisting. Hook for opening injection (lidocaine) vials.